Why Is Everyone Talking About Mixed Martial Arts? 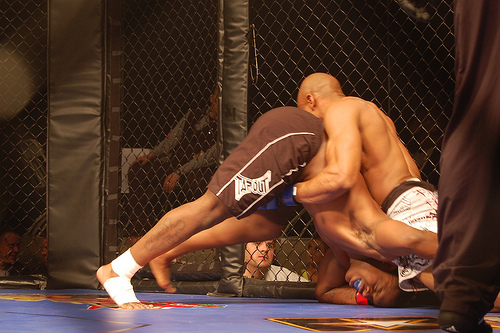 The popularity of MMA or Mixed Martial Arts has continued to grow over the last few years. Mixed martial arts training is not just for those who take part in competitions, it is for anyone interested in complete fitness, strength and increased energy. The training is popular with men and women of all age groups. The training is beneficial for everyone and this includes young kids. Fitness enthusiasts are increasingly including MMA training as part of their regular fitness regime because it is the perfect entire body workout. The training builds energy while improving overall cardiovascular endurance. A good reason to enroll for MMA training is to help your body to develop and increase in power, strength and energy. You increase your overall fitness level through specific workout sessions that enhance stimulation of your body. MMA training combines speed and specific strength to engage the body’s energy system on various levels. This stimulation helps to increase muscle strength and cardiovascular endurance and it works to improve overall fitness levels. One of the benefits of MMA training is that you learn self-defense while improving the general capacity of the body. This is definitely one of the main reasons women are enrolling for mixed martial arts in large numbers. When you learn the skills, you do not have to live in fear and you can feel confident any time you are out and about. MMA training helps to increase levels of preparedness, and ensures that those with the skills learn how to defend themselves when necessary. MMA training is a huge confidence booster allowing those who have learnt the skills to face challenges that they meet every day. When you learn several self-defense techniques, you feel more confident when faced with difficult situations. The enhanced confidence will help in every area of life including enhancing leadership skills, building capacity to deter attacks and learning confrontation ability. The training helps when it comes to facing different challenges. The training teaches discipline, which is necessary in every sphere of life. Without discipline, you cannot achieve the levels of fitness that you desire. MMA training teaches on the importance of discipline and this is something that can be applied even in the workplace. It helps when it comes to issues like sticking to schedules, punctuality, working in or under authority, facing work challenges and other areas. You can become a better boss or employee when you use the discipline you learn during training. Those who have enrolled for MMA training agree that despite the hard work, it is a lot of fun. The sport is interesting and exciting and those who start find themselves falling in love with this training. Apart from the physical benefits, it is a great way to meet likeminded people in an atmosphere that is energetic and enriching. MMA is very engaging and it is interesting simply watching others practice. With all the benefits of MMA training, it should be obvious why everyone is talking about it! While the thought of exposing your kids to anything that seems violent might be scary, research has actually shown that training in martial arts can be good for everyone including kids. While it is true that many martial arts films are full of gory scenes, the fact is that the training is very beneficial for kids. There is a reason why many gyms offer kids training sessions and the enrollment continues to increase as parents realize the benefits of the training. Following are some reasons why you should consider enrolling your kids for the training. Martial arts has been around for years and it is an art form that focuses on self-discipline. This is one of the tenets of martial arts that is very central to the training. In a society that is accustomed to instant gratification, the training helps to foster self-restraint and discipline. These qualities help the child to grow up well. 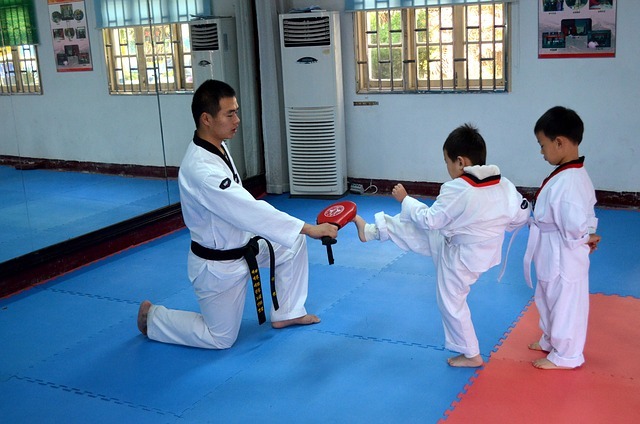 Kids who have a martial arts background tend to be very self-disciplined. Another reason to enroll your kids for martial arts training is that it allows them to come out of their shell. The training is especially important for those who find it difficult to socialize or make new friends. The training offers them an opportunity to interact with other kids who share a similar interest and they are able to know one another especially through partner-driven training styles. It is important to encourage kids to get physical activity. At a time when most kids are glued to screens and video games, the obesity rates continue to go up. It is a good idea to get your kids off the couch and into regular training sessions where they can get much needed physical activity. This will give the kids something to enjoy while helping to improve their overall health. The training helps to boost confidence as the kids master new moves. Achievement helps to boost confidence and any time your child earns a new belt or masters a new move, it helps to enhance his or her self-esteem. The kids are also better able to stand up to bullies, something that is very important in today’s society. This training is something that the kids will carry with them into adulthood. 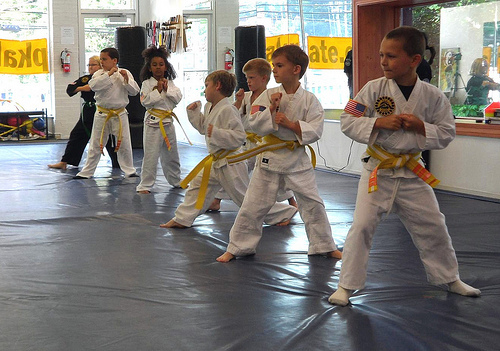 Through martial arts training, kids learn how to set and achieve goals. Most forms of the training are based on a system of accomplishment where those who achieve a certain level earn colored belts. These belts signify the person’s degree of skill and they motivate kids to strive to move to the next level. This is another valuable lesson that helps an individual right into adulthood. There are other reasons to enroll your child for martial arts training and they include instilling a sense of respect, encouraging the child to choose non-violent conflict resolution, improving his or her listening skills and developing teamwork skills. The training will help your child in different areas of life, which will help as the child grows up into a mature well-adjusted adult. It is important for you to have a written plan or schedule. Basically, you must have plot down your ‘to-do’ stuff on paper so that you would be able to see how you can manage your time in a better way. There might be some old calendars or even planners lying around your home. Now is the time to use them. 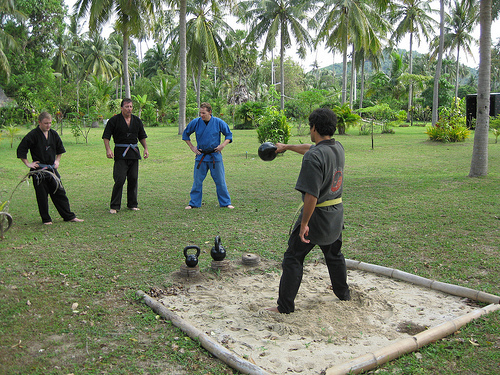 Usually, people find out that they do have time for martial art after seeing their schedule. These days, you can also make use of smartphone apps as well as computer programs with scheduling. So many people these days spend more time in front of a screen more than they think. What about you? How much time do you spend in front of your computer or your TV screen? Yes, it is very fun to spend some time watching videos on YouTube or even chatting with friends on Facebook. It is also fun to have a marathon of your favorite movies. But take note that you can always sacrifice a few amounts of screen time and use it to learn martial arts instead. If there is a will, there is a way. You might say that you want to train martial arts. But do you really want to do so or you are just saying it? Maybe you lack the inspiration as well as the motivation and that could be the reason why you are having a hard time finding time for martial arts. Be inspired by having a new weight goal. Be motivated by learning the numerous ways on how martial arts can be very beneficial to you. Once you put your heart into it, you will surely have time for martial arts. Busy too much at the workplace? Learn how to delegate. Busy too much at the home? Learn how to delegate. You do not have to do all things by yourself. Ask help whenever you need to. You should be spending time for yourself above all else. Thus, you should never sacrifice your ‘me’ time. If you can assign certain tasks to your subordinates, that would be great. If you can ask your kids to help you with household chores, then the chores would be done in the fastest time possible. 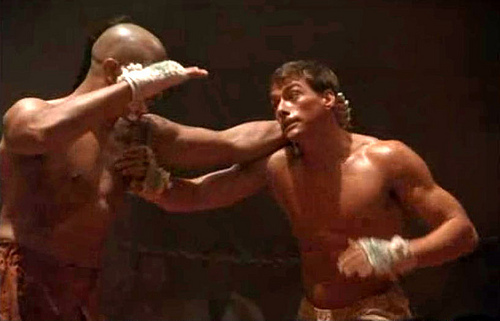 After that, you can train martial arts! It turns out that it is easy to have time for martial arts. ‘I am too busy enough’ is not an excuse. 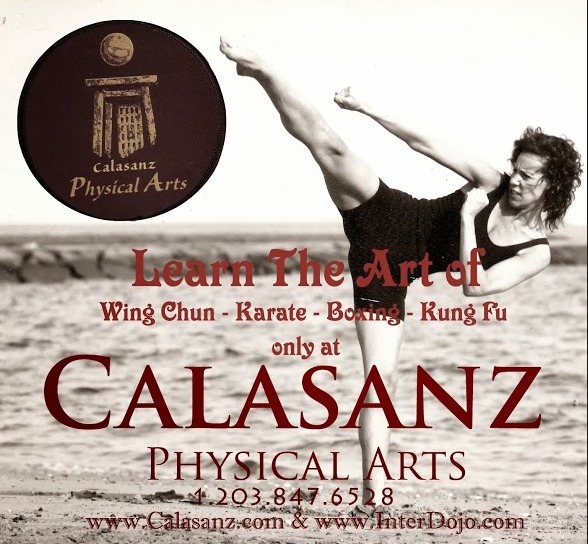 At Calasanz, we offer various martial arts programs perfect even for busy individuals. 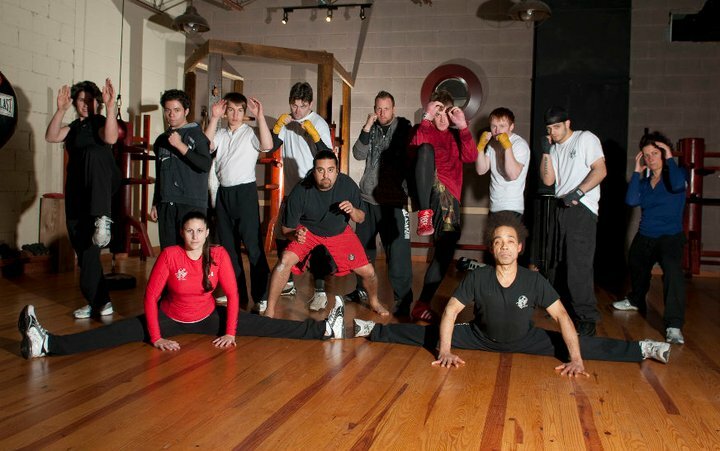 Try to take time and learn any of the martial arts programs that we offer. Let’s Talk About Strength And Conditioning For MMA! If your trainer trains you as if the gym is their main sport, then you need to think twice. Chances are high that you may get seriously injured during the conditioning session and this way, he or she will have jeopardized your career. The kind of equipment and exercises selected to your ability is very important because you don’t want to take risks. This may seem pretty obvious, but how do you want to become the best dead-lifter, Olympic lifter or marathon runner? The goal is goal. If you are looking forward to be the best fighter, then a fighter’s training is the way to go and what works for a power-lifter may not work for you. Work on the program of your choice and remember to test and assess your ability. If you find out that poor mobility has been the cause for not increasing strength, then address it first before taking more weight on the bar. You should understand that strength and conditioning sessions are crucial, supporting sessions to all other training. But if you want to increase the intensity of strength sessions, make sure this does not conflict with your fighting practices. Do not push too hard in order to improve on your intensity. And talk to your trainer, the more they know you, the more they will fine-tune the training. You could be adapting well and all is going according to the plan, but there are those days that your body feels completely broken. Do not force yourself into a heavy session as planned by your trainer; their job is to build you back, not to exhaust you even more. Using more than two heavy, multi joint lifts may not be the way to help you perfect in your strength and conditioning sessions. However, it may depend on your ability and the time available. There are other supplemental exercises that still contribute to strength development. To be a good fighter, you have to learn the tricks, but working with a skilled and experienced trainer is a plus. At Calasanz Martial Arts & Fitness Centre we have the best trainers who understand the importance of different levels of fighters. We make sure that we develop your strength and conditioning practices according to the ability of your body. Join us today; our goal is to help you meet your goals. This is one of my newest creations. It’s an ad in which shows what I am geared at helping people to become better at whatever it is their goals are. I have been creating the perfect body for over 30 years, and this is where you can start it all too. 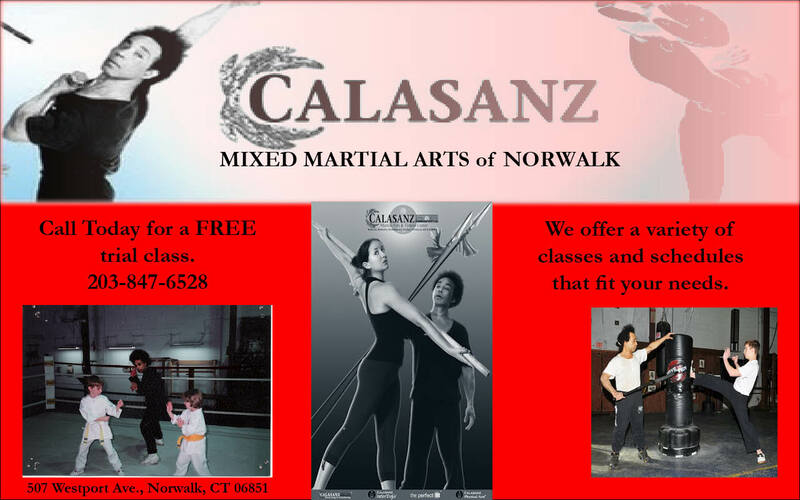 The link is at http://www.calasanz.simplesite.com if you’d like to check us out you can call or come in anytime from 9-5 Monday through Friday, other times are available by appointment only. international T.V. show), and on the front picture of many magazines. I.E. CT. He has also had a one hour show on Channels 3, and 8.
trained with Moyat, a classmate and great instructor of the late Bruce Lee. Fire Fighters, Henry Kissinger’s body guard, U.S.S. which now is Taico. When it comes to losing weight, calories are king. It doesn’t matter what you eat. If you consume less energy than you expend, you will lose weight. John Cisna, a high school biology teacher from Ankeny, Iowa, told KCCI that he ate nothing but McDonald’s for three months and lost 37lbs. Surprisingly, his cholesterol dropped from 249 to 170. His golden rule? Consume fewer than 2,000 calories per day. Only cutting calories has down downsides too, though. It’s hard to shift those pounds without exercise and Cisna admits that he started walking for 45 minutes per day during his experiment. Here are five tips for getting active in Connecticut. Do you want to get started, do more or learn about muscle strengthening activities? If you don’t set goals, it is easy to lose focus and struggle to maintain motivation. Your chosen goal will determine which types of exercise you need. We will deal with each goal separately. If you are just starting out, you need to pick an activity that you enjoy and one that will fit into your lifestyle. For most people that means walking. It sounds odd but walking burns the same number of calories as running over the same distance. The catch is that it takes you far longer to walk than run so running will burn more calories in a certain timeframe. Start with 10-minute chunks of time, a couple of days per week. Try to build up your exercise periods until you can walk for 45 minutes like John Cisna. If you want to do more, the perfect way to become more active is to consider how active you are on most weeks. • If you already do some physical activity each week, try going longer by walking for 50 minutes, three times per week. You can begin doing more by being active for longer each time. • If you are already active for over two hours per week and can do activities that make you breathe harder such as running, begin by building up the time you spend being active. You can then switch to being active more often and switch to activities that require more effort. For example, if you can walk for 50 minutes three times per week, try jogging for part of that time. Build up your endurance until you can jog for 50 minutes, three times per week. If you are currently inactive, simple muscle building activities such as push-ups will help you build upper-body strength. You should aim to do these activities at least twice per week. Research by the U.S. Department of Human Health Services indicates that people are far more likely to stick with their goals of becoming more active if they involve their partner or a friend and keep it fun. According to one of the leading fitness centers in Norwalk, even strenuous activities such as boxing or mixed martial arts can be offered to beginners through safe, fun courses that help people become more active.